Boar Hunting using Spot & Stalk is important to your hunting success. Snow makes for great hunting as you can cut a track and follow the Boar into the Deepest parts of the forest. When you spot a boar it requires patience and skill to Hunt Boar on the snow pack. 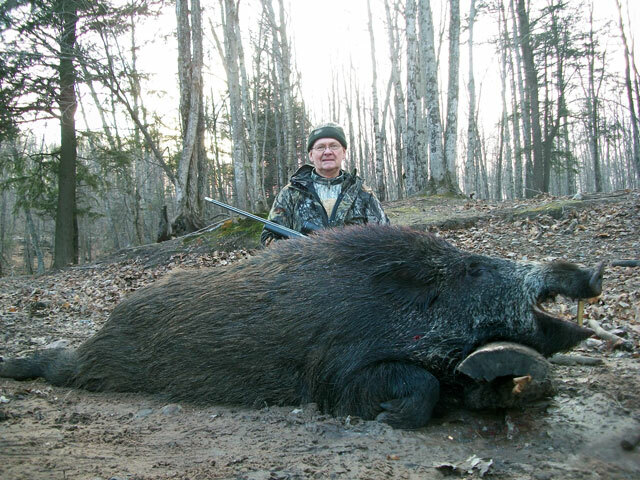 The forest in Winter time is a Great Place to learn the basics on how to Boar Hunt. Spot and stalk Boar hunting is very challenging and must be practiced. When learning to boar hunt by stalking you must choose every step carefully. With no leaves on the trees in the fall the range of view for man and beast is increased. Getting close enough for a clean shot in the wiry branches can be very difficult. The Snow packs down all the under brush making for an excellent base to Hunt on. The Giants of the Great Northern Forest are great to wild Boar Hunt as they make trails throughout the thick forested areas. With that said snow can make it hard to wild Boar Hunt. Frozen Snow may crunch a bunch and the Boars know your location. If the hard pack breaks through you can not make a quiet hunt with spot and stalk. Figuring out how to Boar Hunt depends on weather conditions on a specific day and time. Fresh snow is great for tracking, however you can end up in such deep snow it inhibits your ability to bush whack. On the other hand super deep snow drive the Boars into travel routes. 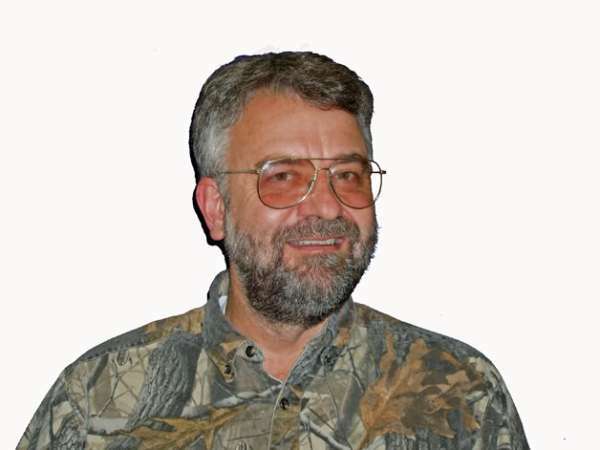 Having a powerful boar hunting rifle can help give an advantage. 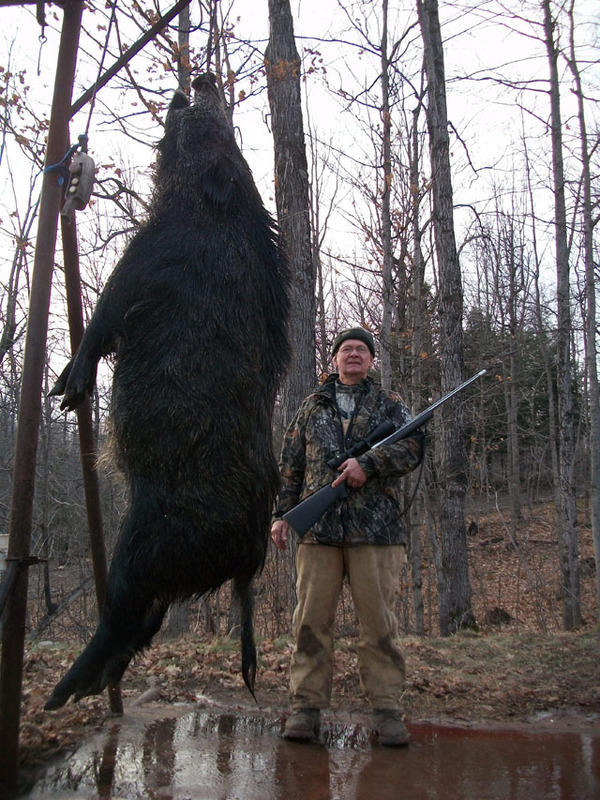 Having the gun zeroed in on target can help take down a massive wild Boar. Anything less than a perfect shot often leaves these beasts irritated and seemingly unharmed… The shield on large boars can be difficult to break through unless properly armed. Many hunters come up north for different game. 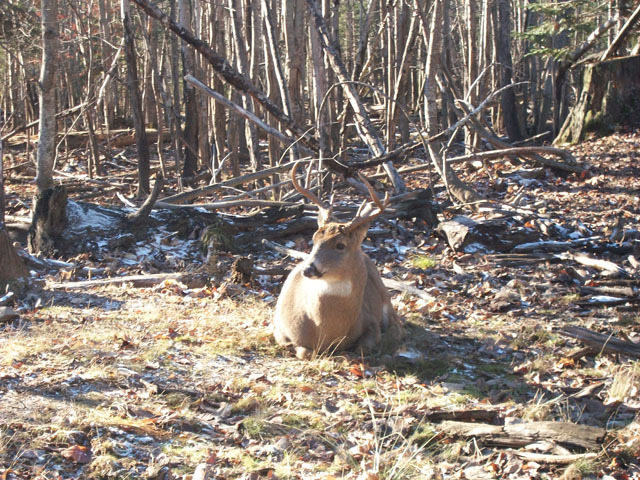 Whitetail are commonly hunted in The Great Northern Forest. 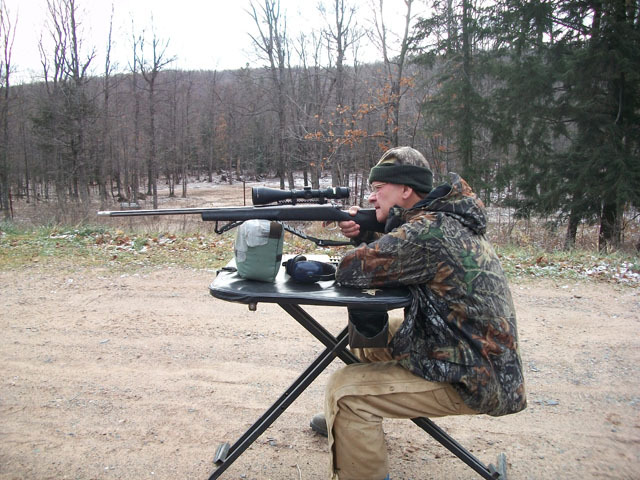 High powered rifles are the weapon of choice for many hunters. The more powerful of these rifles are excellent for killing wild boar as well. When spot and stalk hunting if the hunter remains quiet enough he can observe the local wildlife even if they are not the game he wants that day. Knowing the habits of all animals in an area helps to make you a more complete hunter, and give you a deeper understanding of the forest as a whole. The late fall can be brutal to spot and stalk wild Boar. Their keen hearing makes every misstep a chance to bust your and disappear into the thick cedars. 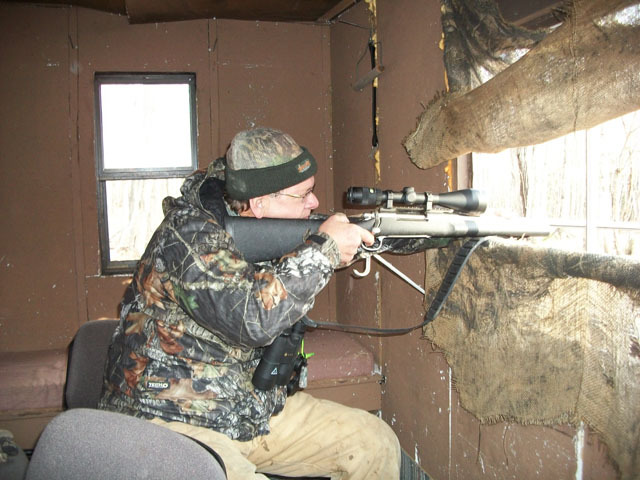 Taking refuge in a blind to ambush passing boars can be an excellent way to surprise them. A blind also provides a rest allowing your shot to have more certainty. There are many challenges to face when Giant Boar Hunting, choosing your approach can make the hunt a success. 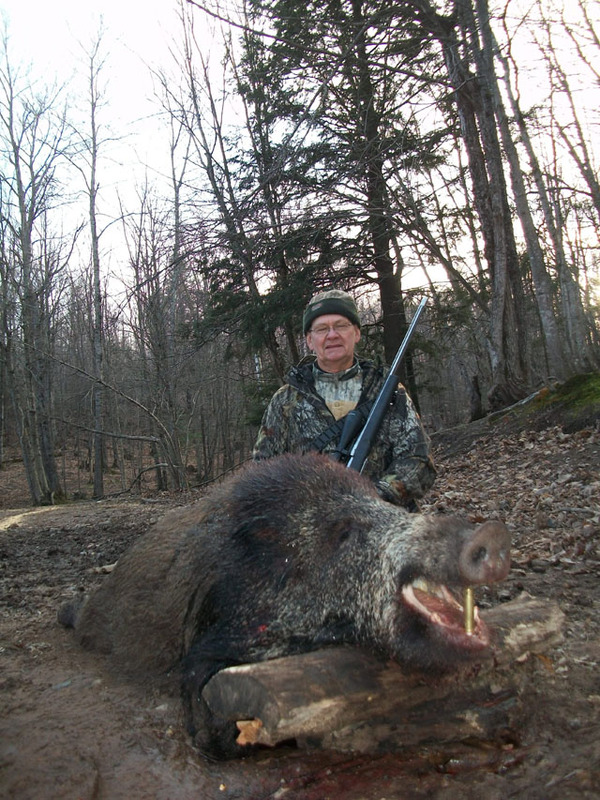 A great boar hunting tip, is that a well aimed shot from a powerful rifle and a practiced hunter can take down even the biggest and baddest wild boar. These Giants have a strong shield protecting their vitals as well as thick hides. Going for the legendary double lung shot with a rifle powerful enough for a pass through is the most effective way to slay these beasts. Mastering boar hunting and becoming the beast slayer is what it is all about. Being in the woods up close and personal with these primordial predators is truly awesome. Boar hunting in the fall has unique challenges as all the seasons do. Overcoming them on a challenging boar hunting trip is in credibly rewarding.